$49.95 In stock. Order in the next 11 hours, 51 minutes and it will go out today! In stock. Order in the next 11 hours, 51 minutes and it will go out today! Holy Tomato! 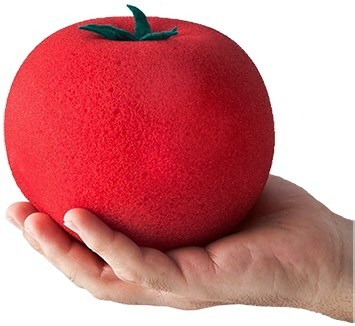 This giant tomato has all the strength and versatility of a 6" Goshman sponge ball. That's because it's made by Goshman and then the finishing touches are added in Spain by Vanishing Inc. Magic partner Undermagic. 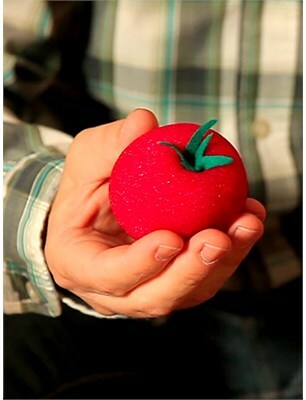 Check out the above video and see how it magically (and automatically) grows in your hand!